Jaguar was one of the first luxury car companies to offer a Certified Pre-Owned vehicle program, and has been recognized for the program’s comprehensive attention to detail. All of which allows you to enjoy a Jaguar for less than you would have thought possible. That finely crafted Jaguar is now within reach through the Jaguar Select Certified Pre-Owned program. 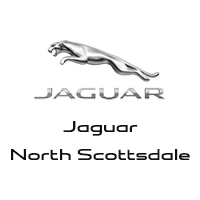 The name says it: Select Certified Jaguar cars have been hand selected from only the finest, most carefully maintained Jaguar cars available from the previous five model years. The entire range of Jaguar cars is available, from the stunning XF luxury sports sedan, to the elegant XJ premium luxury sedan, to the legendary XK coupe and convertible. The Select Certified program includes a rigorous inspection process with stringent standards for both mechanical and cosmetic condition. In addition, a vehicle history report comes standard with every Select Certified Pre-Owned Jaguar vehicle. The Jaguar Select Certified Limited Warranty offers 6-year/100,000-mile coverage without deductibles. * Select Certified warranty coverage and roadside assistance start at the conclusion of the Jaguar New-Vehicle Limited Warranty, so you have continuous coverage. In addition, the Jaguar Select Certified Limited Warranty stays with the vehicle even if it is sold, so the second owner can enjoy the same benefits. * See your local authorized Jaguar dealer for complete terms and conditions of the limited warranty and service coverage. Long before you see your Select Certified Jaguar vehicle for the very first time, it has undergone a rigorous evaluation. Each candidate vehicle must pass demanding tests for appearance, performance, reliability and driving refinement, with minimal tolerances. In addition, a vehicle history report is provided along with every Select Certified Jaguar car.